This home is being sold Fully Furnished. 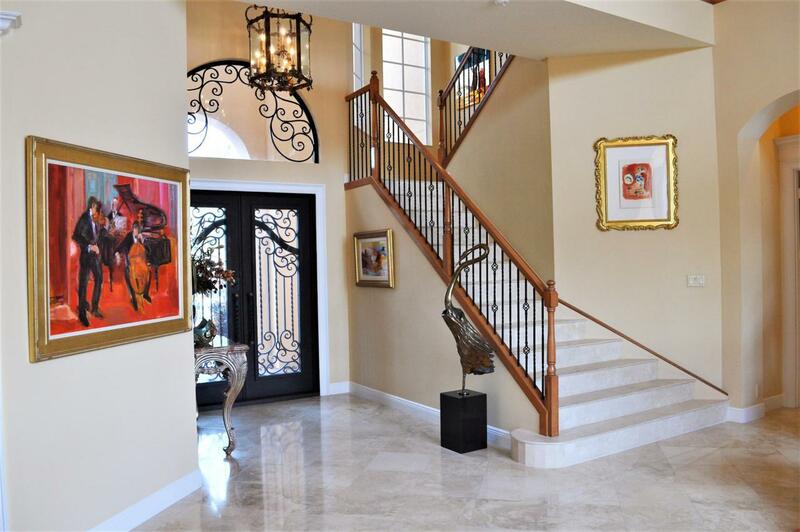 One of the most immaculate Estate Homes Newly offered in Jupiter Country Club. This Rarely lived in home is situated on an amazing lot. One of the Highest Lot premiums paid! 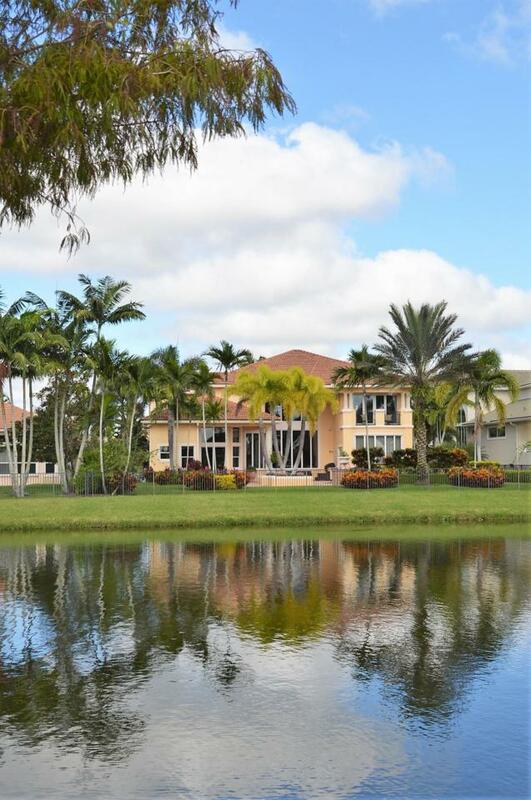 This Grand Estate Home is situated on a 210' x 94' lot with Long Water Views and views of the 12th Hole. 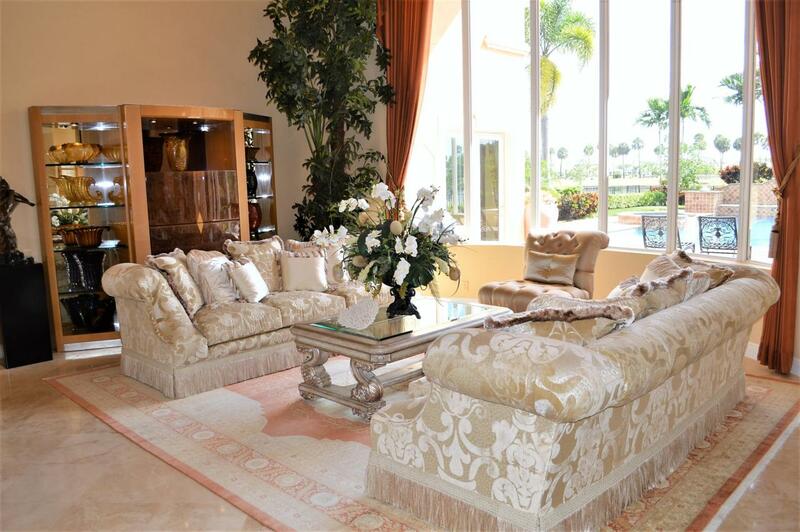 Over $1.1 million to decorate and furnish. Enter the Wrought Iron front doors to a Grand Living room with 25' ceilings. Impact glass up to the ceiling showcases views of the 40x20 pool and golf/water. Barely used Kitchen with brand new microwave and GE Monogram electric cooktop. A gas line was installed for a Gas cooktop as well. A spacious and bright Great room flows from the kitchen.Master Suite runs the length of the 1st Flr and offers a large Master Bath with His/Hers separate waterclosets. An exercise room sits between the Master Bedroom and Bath. An elegant Marble staircase with wrought iron railings lead you to the upper living area with a second Master Suite offering a Glass French doors leading to a balcony overlooking the 12th hole. This home is Hurricane safe with a brand new 30kw Kohler generator was just installed and Impact Windows thru-out. This community is a short 5 mile ride to the Beach! A truly remarkable residence. Listing provided courtesy of Exceptional Properties.